Download Admit Card Of Telangana TS ICET 2016 For 19th May Exam @ www.tsicet.org :- Kakatiya University, Warangal on behalf of Telangana State Council of Higher Education, Hyderabad is going to conduct Telangana State Integrated Common Entrance Test (ICET) 2016 on 19th May 2016. All the students who had completed their under graduation and looking for admissions into Management programs applied for the ICET 2016. Telangana State Council of Higher Education, Hyderabad will release TS ICET 2016 hall tickets on 29th April 2016. Aspirants can get TS ICET Admit Card 2016 from the official website of University or a direct link is provided below. About Kakatiya University: Kakatiya University is a public University located in Warangal in the Indian state of Telangana. The University offers about 120 programs at undergraduate and postgraduate levels in the faculties of arts, science, commerce and business management, social sciences, education, engineering and pharmaceutical sciences with constituent and affiliated colleges spread over four districts of Telangana. TSICET-2016 (Telangana State Integrated Common Entrance Test -TSICET) is for admission into M.B.A. and M.C.A. courses of all the Universities in Telangana State and their affiliated colleges for the academic year 2016-17. This test is being conducted by Kakatiya University, Warangal on behalf of Telangana State Council of Higher Education, Hyderabad. Download Admit card for TS ICET 2016: Those candidates who had applied for the exam can download their admit card for the exam from the official website of University or a direct link is provided below. All candidates are advised to read the instructions carefully which is mentioned on the admit card. Admit card contains the details of date, time, and venue of examination. Date of Examination: 19th May 2016. It is compulsory to bring the admit card at the exam center. If one fails to bring the admit card, he will not be allowed to write the exam in the examination hall. 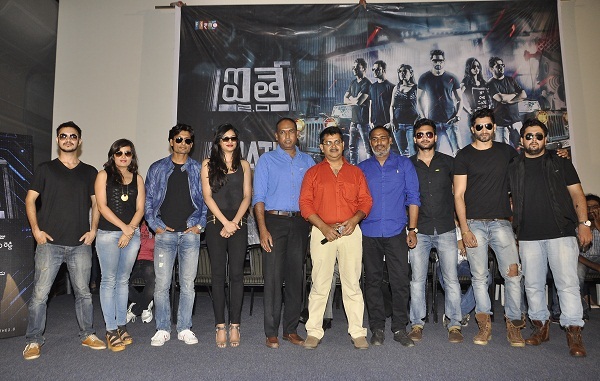 Visit the official website of University or a direct link is provided below for the same. 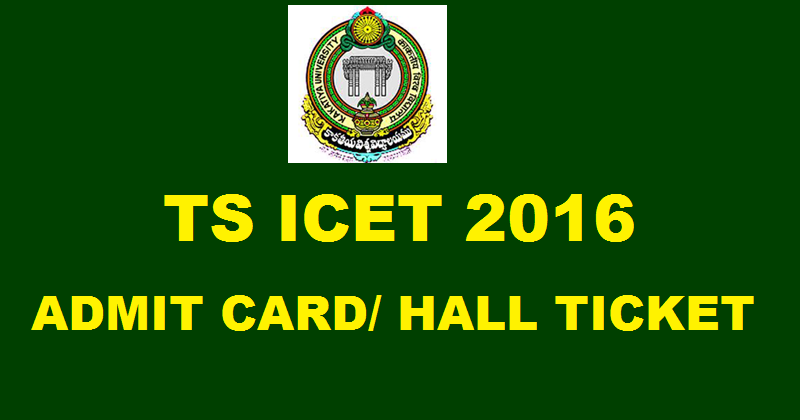 Click on “Admit card of TS ICET 2016”. Enter the required fields in the provided fields and then press the submit button. Download the admit card and take a printout of it for further reference. For more information, please visit the official website of Universtiy regarding admit card or examination.